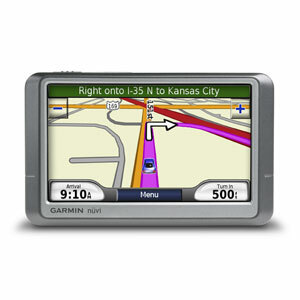 This unit is excellent is for navigation while you are driving, but I was also interested in getting one that could be used for geocaching as well. I haven’t actually done it yet, but it appears to be capable of this as well, with a few minor tweaks of the user preferences. Some older Garmin units need to have their firmware upgraded to allow entry of raw latitude and longitude values, but this one has that functionality right out of the box. Lastly, I would recommend the purchase of the optional friction mount that allows the unit to sit on your dashboard, rather that suction-cupped to the windshield. The word on the street is that residue left on your windshield is a telltale sign for thieves looking to relieve you of your GPS gadgetry. WOW – Santa WAS good at your house this year….Could there be anything better for Santa to bring you, Jerry, than an electronic gadget??? Nope! Great blog! I saw your reply on the InSight blog group.I picked up one of these sweet little gadgets with my Pride@Boeing points and I couldn’t be happier. The fact that it lists street names was the main selling point over the fancier but more pricey Sony GPS. I must say, I love this blog. Maybe you could let me know how I can go about subscribing to it?